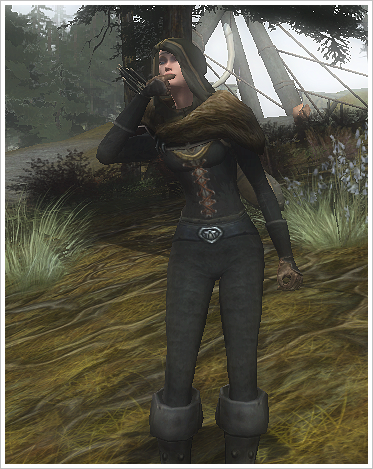 I have been using this cosmetic for just over a year and it slowly got updated each time like when the Store came about with the Traveller’s Hood, and with some of the Isengard cosmetics. 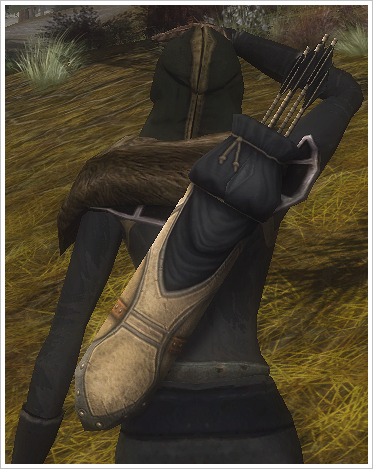 Up until Isengard I was using Wolf-Pelt leggings in black (Quest reward from the lumber camp outside of Combe) They work just as good if you are a lower level player not able to reach Dunland yet, and with brown boots of another kind should still work. 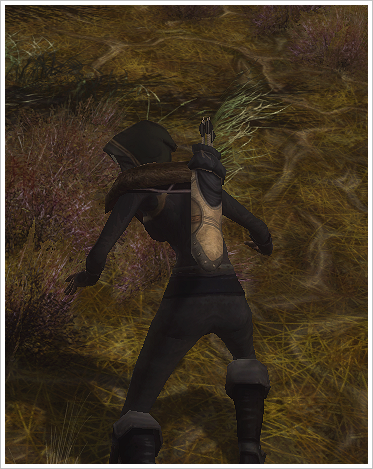 Note: The gloves also have the same cosmetic as Leather Gauntlets from the armour venders in Esteldin. I can’t wait til I have my crafting up to T7… I’ve been wanting those shoulder pads sooooooo bad.